Phyto-Khol Star is an automatic, retractable pencil with an integrated pencil sharpener. 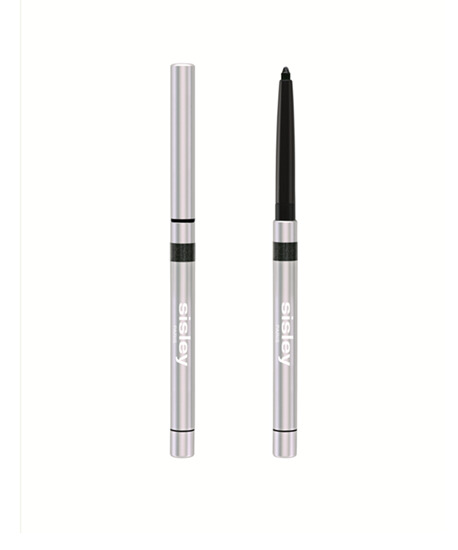 The creamy and firm tip offers a unique glide and ensures perfect definition with extreme precision. 8 shades with multiple effects that give intensity to the look: - Sparkling: luminous shades infused with delicate glitter. - Mystic: almost black shimmery shades with subtle reflections. Its formula with exceptional comfort and softness enriched with Rosehip oil, Bisabolol of natural origin and Vitamin E acetate, soothes delicate skin of the eyelid. Withstands rain, humidity, heat, tears, sweat, oil. Very long-lasting.